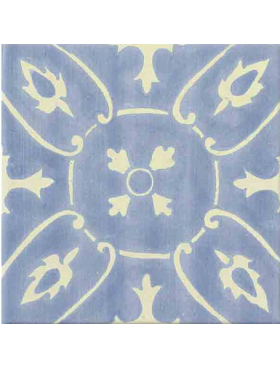 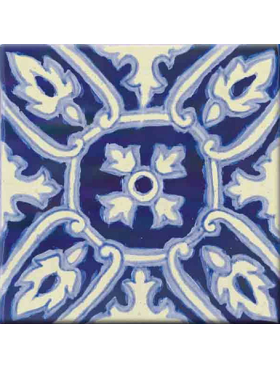 Clavel Azul, large 5 1/2" x 5 1/2"
Clavel Azul is a carnation balanced by cobalt blue and a soft green. 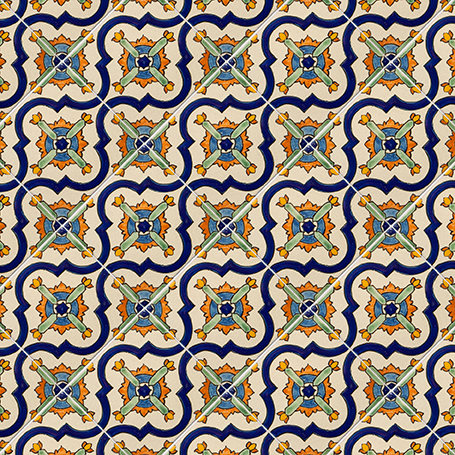 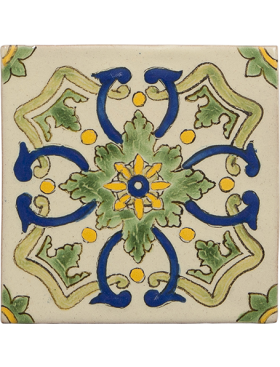 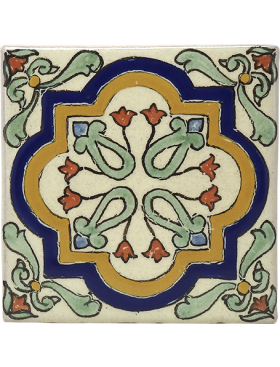 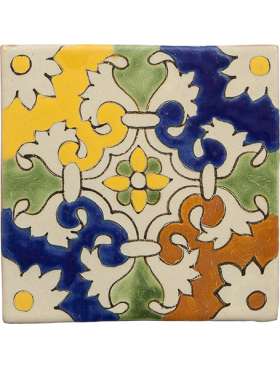 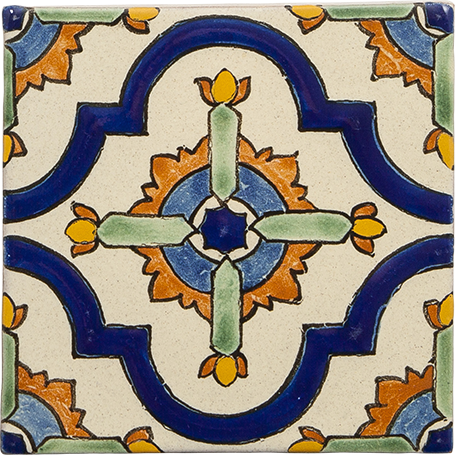 Decorative tiles are sold by the piece. 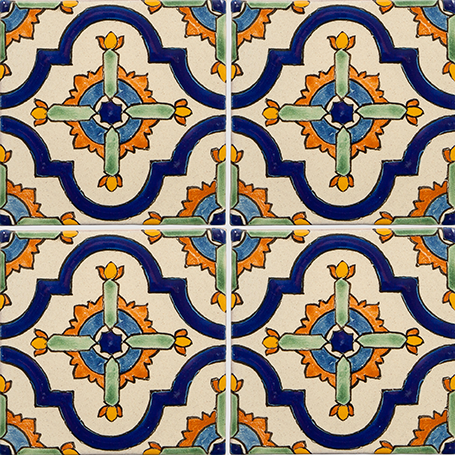 Each piece is .21 square feet. 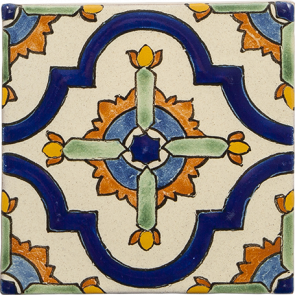 Order 4.76 tiles for each square foot needed. 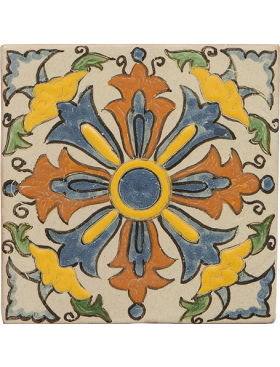 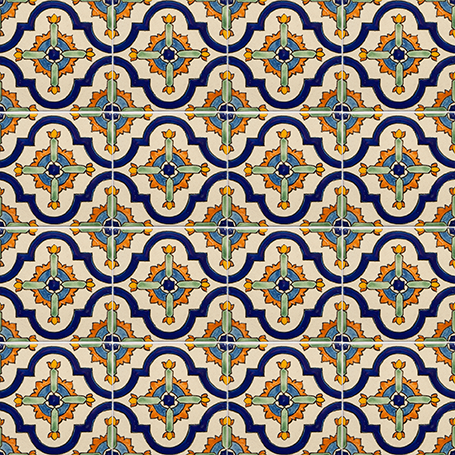 Minimum order is 26 Decos or 50 Field Tiles.